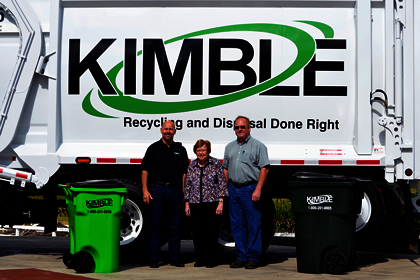 Located in Dover, Ohio, Kimble is a family-owned and operated business. We’re committed to providing quality, convenient and sustainable waste management and recycling solutions to Eastern Ohio. We offer municipal, commercial and residential services, and our top priority is always our customers. Innovation and excellence remain the cornerstones of our business, as we continuously search for new and improved ways to provide our customers with the best possible service.